The games that are my favorites are ones that have minimal or next to no faults in them. I'd be fooling myself if I said a game that I liked best was perfect. That's the purpose of this article: to try to delve into my favorite games, figuring out that one thing that isn't so perfect about them. Many of these may come off as nitpicks, and that's the nature of trying to come up with gripes, no matter how small, towards the games I adore most. Let's start with my favorite video game ever created, the masterful Legend of Zelda: Ocarina of Time. It's really cliche, I guess, as a choice for favorite game ever made, but it's not like the game isn't one of the most revolutionary, well paced, or creatively designed out there. Thus, there's a reason many consider it the best of all time. 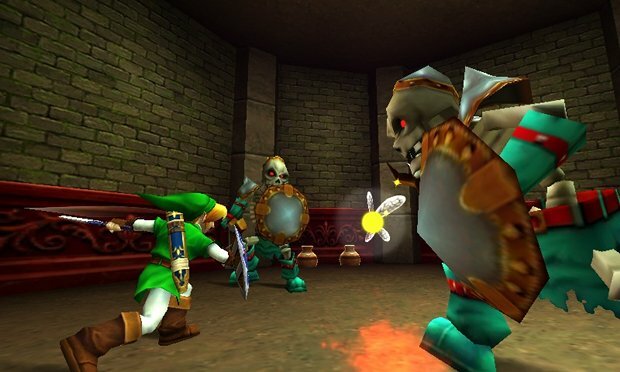 Regardless, especially in the Nintendo 64 version, a problem that plagued many games on the system, especially those with high caliber graphics, is the frame-rate. It can go to the low teens in an instant, particularly in more action-intense sequences as well as more open areas like Hyrule Field. 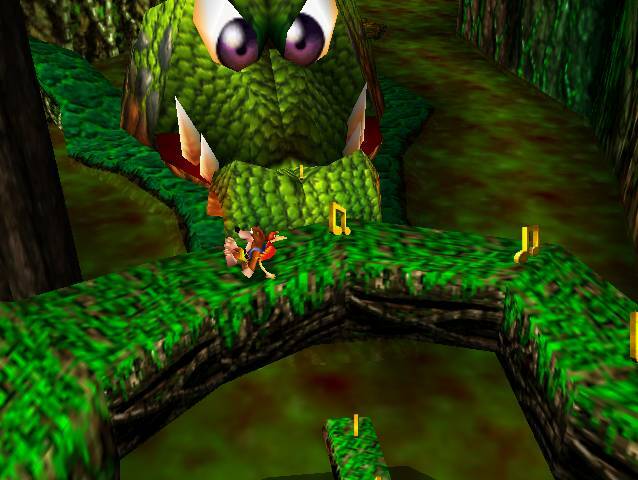 Another issue with the Nintendo 64 version is no stranger to fans of the game, and even harsh critics. I'm talking about an element of the Water Temple. The dungeon itself isn't annoying. The need to constantly pause and unpause the game to equip the Iron Boots from the Gear menu, however, is. 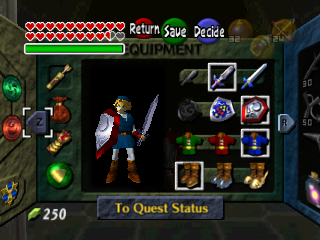 I'm embellishing here, but one may spend more time in the menus than in the actual Water Temple itself because of how much you have to equip and remove the Iron Boots! With the Nintendo 3DS version, which is the definitive version, in my mind, both the frame-rate (though there are modest drops in the 3DS version) and the Iron Boots were fixed. For the Iron Boots, they became an equipment item, much like the Boomerang or Hookshot. You could simply tap the touch screen to equip them and remove them instantaneously. The 3DS version did bring a new problem into Ocarina of Time, and that's when you have the 3D slider on of the Nintendo 3DS. Dark areas presented a ghosting effect with colors and images bleeding over into the darkness for a sullied look. A very small gripe, but a gripe nonetheless. With a new version of Resident Evil 4 coming to the PlayStation 4 and Xbox One later this season (making it the 101st official version across all platforms), it seems timely I talk about my favorite third-person shooter. And there's the rub. 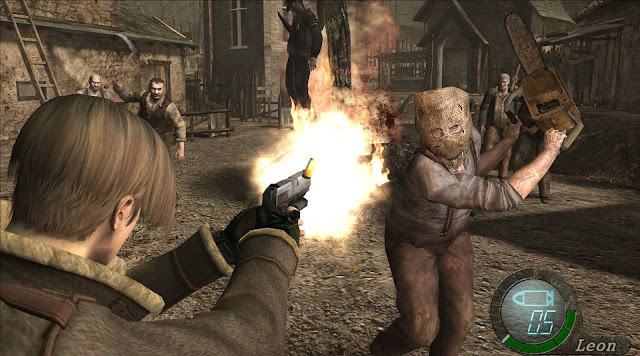 As a game to its lonesome, Resident Evil 4 is one of the most perfectly paced games ever devised. Its action is superior to most games, its design is superb, and it's absolutely dripping with macabre atmosphere. 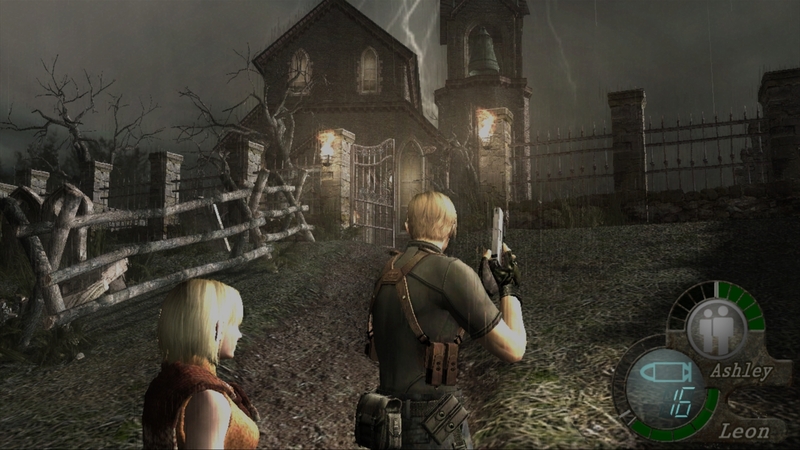 As part of the Resident Evil series, however, this game saw a shift in tone of the series. Future games acted more as third-person shooters with some horror elements instead of the pure survival horror gameplay longtime fans of the series had come to expect. It's only now that Resident Evil 7, announced at this past E3, seems to be taking the franchise back to its roots. I'm one of those whose first experience with the Resident Evil franchise was the fourth installment, hyping it up as the last big GameCube exclusive (we all know how that turned out). Thus, I didn't have as much at stake with the future of the franchise. Still, knowing where Resident Evil went after 4 and it disappointing so many fans is something that can be considered a flaw for Resident Evil 4. Seeing as that's the worst I can say about the game, that's mighty impressive. 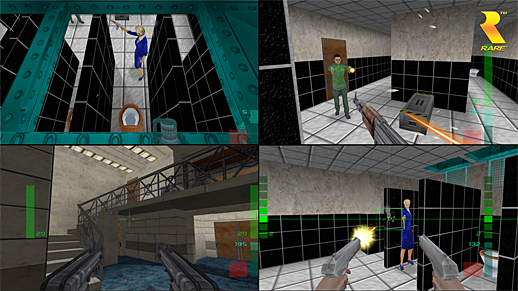 From a third-person shooter to a first-person shooter, I've always enjoyed objective-based FPS games like GoldenEye, TimeSplitters, and yes, Perfect Dark over games that focused more on running and gunning through either expansive levels or corridor-to-corridor design. Perfect Dark is a marvel of design with its many ways to clear a majority of missions, whether going in order or accomplishing each objective in the order you desire. A problem that haunts both versions really isn't too bad. That is that many of the missions in the game can take upwards of 15-30 minutes on Perfect Agent difficulty, the hardest difficulty in the game, sporting the most objectives, harder AI, greater damage, and no shields to add to Ms. Joanna Dark's defenses. One mistake can cost you those 15-30 minutes of progress thanks to the lack of checkpoints. Now, back when the game originally came out in 2000, one of my proudest gaming achievements (before Xbox and Microsoft made them an actual thing that people could earn for GamerScore) was beating all of the missions on Perfect Agent mode. It took a lot of time, a lot of patience, and a lot of "dammit, I almost had it-s" to do that. So, yeah, I did "git gud", but at the same time, it's a viable complaint if I had to pick one. 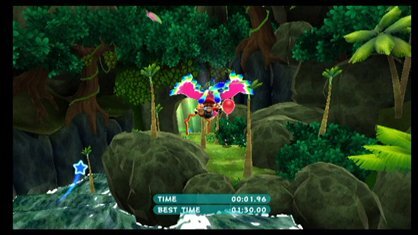 However, the Nintendo 64 version also suffers from tremendous frame-rate drops, running sluggishly in the teens with great consistency. And don't even get me started on dropping a certain bomb that drops the frame-rate in single digits. We continue with this look at some of my favorite games of all time with Super Mario Galaxy 2. Generally, the motion control actions worked flawlessly. Now, even some longtime gamers couldn't adjust to the Wii's motion controls. I'm not referring to waggle as motion controls. Most of Super Mario Galaxy 2's functions were tilting the Wii Remote. That's exactly what one needs to do in the gliding sections of Super Mario Galaxy 2. This quest for a Power Star happens in two galaxies. The first isn't too bad at all. Not only does making it to the end of the course give you your much desired Power Star, but flying through five difficultly placed rings gives you a Comet Medal. It's the second level late in the game that always gets my proverbial goat. Or, I guess bird would be the right word to use here. It's not so much making it to the end that's the problem. It's making it through all five rings, which are in some absurdly hard and fiendish locations. Twisting and tilting the Wii Remote to reach each can make you look like a contortionist. 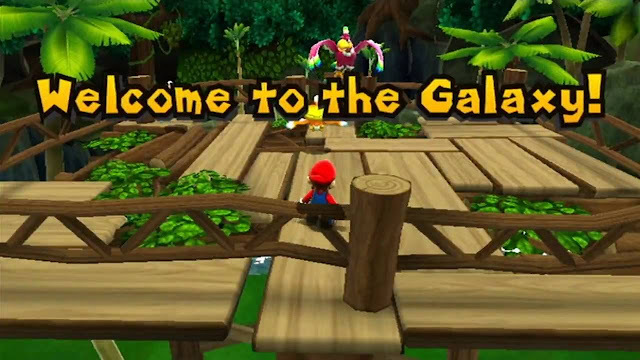 It's by far my least favorite part of Super Mario Galaxy 2, and even then, it's very much manageable. Finishing off this first look at some of my favorite games of all time and their flaws (if you didn't guess, I plan to do more), Banjo-Kazooie takes center stage, my favorite 3D collect-a-thon style platformer. 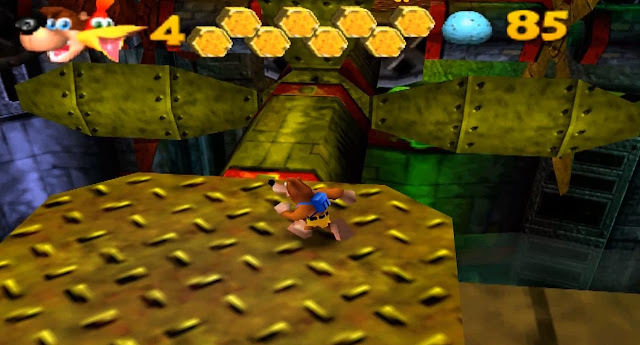 In the original game on the Nintendo 64, there were 100 musical notes scattered and hidden around each of the game's main worlds. If you died before collecting all 100, your top amount would be saved by the game. Dying wasn't usually too much of a scare for seasoned players, but one particular world of the game made death all too easy, Rusty Bucket Bay. I'm particular in talking about the engine room, where fans spin dangerously and platforms twist and turn constantly.